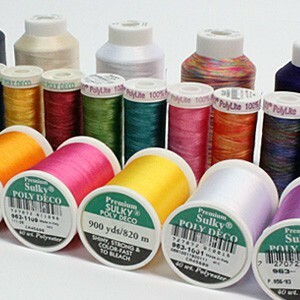 Sulky Rayon is a 40 weight decorative embroidery thread, suitable for machine or hand embroidery. Made from 100% Enka Viscose, our Rayon thread has the same lustre as silk thread. Sulky Rayon is very strong and does not fray or shrink and has less stretch than a Polyester thread. 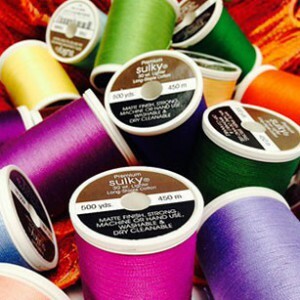 Sulky Rayon variegated thread is a 40 weight, 100% Enka viscose thread that is made up of different colours or blends. You can create amazing results with this thread, making a single colour design look unique and impressive. Suitable for machine and hand embroidery. 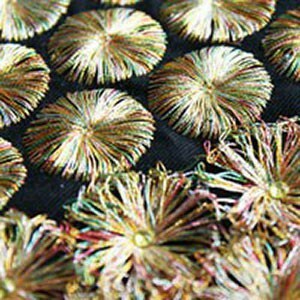 All Sulky metallic threads are suitable for machine embroidery. Metallic - Sulky Original Metallic is a round metallic looking thread. Multi colour metallic - The Multi-colour metallic thread is the same as Sulky original metallic but it changes from one colour to another. Sliver - Sulky Sliver thread is a thin, flat, ribbon-like foil that with a metallic appearance, it’s brilliantly reflective so you can add sparkle to your decorative projects. Holoshimmer - Sulky Holoshimmer is similar to Sliver, but with an amazing holographic appearance. This can be used as a decorative machine embroidery and quilting thread. It has a matte appearance. This thread can be used as upper or lower thread. Sulky cotton 30 is thinner than the 12 weight cotton. The 12 weight cotton is 40% thicker than the 30 Weight. This strong thread is ideal for hand embroidery, quilting, crafting, over locking, embroidery and more. This thread also has a matte appearance. 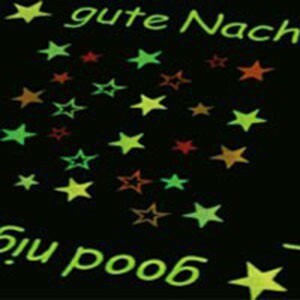 This amazing thread glows in the dark. Natural and artificial light is stored in the thread and released in the dark. Wonderful for Halloween and children’s night products. Suitable for machine and hand embroidery. 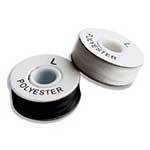 This is a fine transparent polyester thread that won’t melt with normal ironing. Ideal for invisible appliqué, quilting and hems. 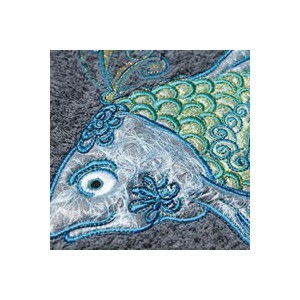 Can be used on a machine or for hand embroidery. Sulky Polyester thread is a durable machine thread made of 100% polyester. Due to its pliability, it is marked by its ease of use. Sulky Poly not only has a beautiful, silky sheen but it is also incredibly durable. Sulky Poly is tear-resistant and colourfast to chlorine; high water temperatures and bleach do not compromise its integrity. We offer a wide variety of bright and vivid colors that last through a large number of wash cycles. Sulky Poly Deco 40 - is perfect for appliqués and embroidery on children's clothing, work clothes, sports clothes or garments that you will wash frequently or bleach. 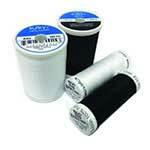 Sulky Poly Lite 60 is a lighter thread for micro-stippling, lettering or fine detail quilting and accurate piecing. It is ideal in the bobbin for any decorative project where you want to match the bobbin thread to the top thread because the underside will be visible.